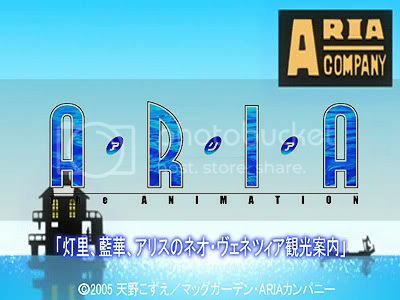 ARIA THE ANIMATION Desktop Accesories (System Voice, Screen Saver, Wallpapers, etc.) CD-ROM by Solais where the 3 of them take turns practicing tour guiding. 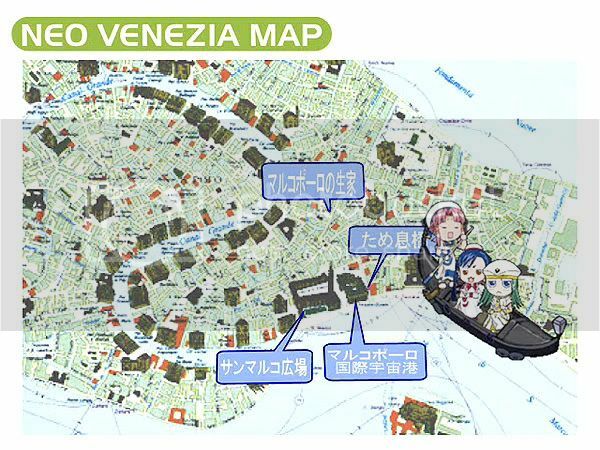 This picture drama has an animated map showing which part of Neo-Venezia the 3 of them are currently in. Which also means, it gives away the approximate location of ARIA Company...and my analysis was actually spot on! Below is the "official" location. As far as I know, this picture drama has not been translated into English. And once again, this proves how PDGed your original analysis was ^^ Really a pity the building itself wasn't real though...although any hope about Orange Planet? Makes me wonder if you didn't know about it earlier... :P j/k j/k.